Charles Goodyear - Inventor of Vulcanized Rubber Tire. Charles Goodyear was an American who discovered rubber vulcanization in 1839. Goodyear was born in New Haven on 29 December 1800 and died in New York on 1 July 1860 at the age of 59 years. He patented his invention in 1844. At first Charles Goodyear was a former merchant who went bankrupt and was jailed for being in debt. 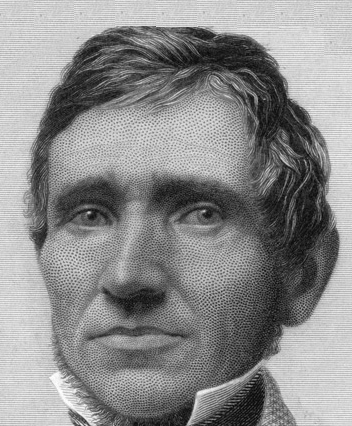 Charles Goodyear was interested in rubber world as the world was experiencing kareat fever in 1830. Rubber is good but it smells fierce, hardened when it's cold and too sticky when it's warm and does not seem to be used for practical purposes. Charles Goodyear founded his company and tried hard to make it useful. Prior to seven years, he tried to process rubber materials with magnesium oxide, bronze powder, nitric acid and lime gluten, but remained fruitless. The discovery of vulcanized rubber or rubber tires occurred accidentally by Charles Goodyear in 1839. When Goodyear cleaned his hands from the powder, which consisted of a mixture of rubber and sulfur. The powder fell and went inside a stove on the fire. When the rubber melts, it reacts with the material and finds that the material is changed to have a character like elastic skin. This is the first time rubber vulcanization or rubber tires are created. Furthermore, with these findings Goodyear also managed to find weatherproof rubber. Then he was obsessed to make a variety of goods from the material and patented his creation. Goodyear's patent measures are patented by a British rubber pioneer named Thomas Hancock whose ironic method of retreading is inspired by Goodyear's weather-resistant rubber samples. He also tried to fight through legal channels, but eventually lost and then lost his French patent, and not only that, the royalties were canceled. In 1898 Frank Seiberling founded Goodyear Tire and Rubber Company and became the third largest tire and rubber producer in the world after Michelin and Bridgestone. The company headquartered in Ohio, United States is producing tires for cars, aircraft, and heavy machinery. Despite not having a relationship, the company's name was taken in recognition of Charles Goodyear who created rubber vulcanization in 1839. In August 1824, Goodyear married Clarissa Beecher and they had seven children, one of whom was William Henry Goodyear. Charles Goodyear died in New York on July 1, 1860 leaving behind a debt of USD 200,000. But finally Goodyear's sacrifice and hard work were not in vain, as his family could enjoy it all through the accumulation of royalties, and more importantly, his name has been embedded as a pioneer of the world's modern rubber industry. 0 Response to "Who Invented The Vulcanized Rubber Tire? History Of Vulcanized Rubber Tire - Biography of Charles Goodyear"